The Trappist Ale recipe was inspired by the traditional refectory ales known as patersbier ("fathers' beer" in Flemish). These sessionable beers are brewed by the monks for their dinner table and are typically only available at the monastery. 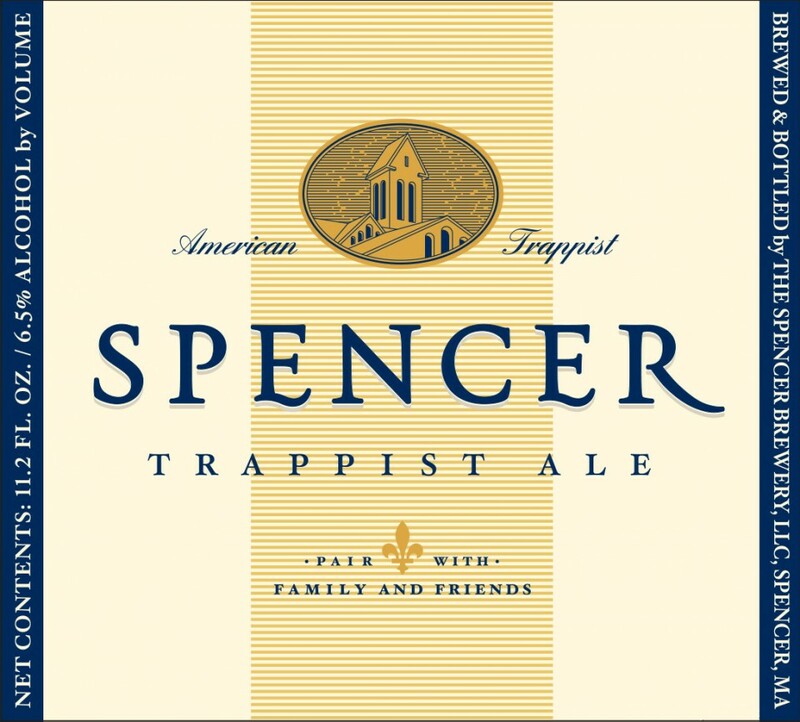 Spencer Trappist Ale is a full-bodied, golden-hued ale with fruity accents, a dry finish and light hop bitterness. The beer is unfiltered and unpasteurized, preserving live yeast that naturally carbonates the beer in the bottle and keg, and contributes to the flavor and aroma. Spencer Monks' Reserve Ale is a classic Trappist Quadruple ("Quad") in the Belgian tradition. This Quad is fragrant, robust and full-bodied, mahogany in color and crowned with a dense, tan, frothy head. Its malt-forward profile yields to a warm finish. Peach Saison is a light, refreshing, sessionable ale. Naturally carbonated through bottle-conditioning, its delicate peach flavor is highlighted through sparkling carbonation producing a fresh, clean taste. Inspired by American brewcraft creativity, Spencer IPA is crisp, fragrant, and golden-hued. Generously hopped, bright, bitter – one of a kind. Spencer's Grapefruit IPA is brewed with grapefruit and Citra hops. There is a ruby red hue in its color, and it is tart and clean with a closing bitterness characteristic to IPAs. *For information about this brand contact your Sales Representative.